The filing in a federal court case also makes clear that Cheney was at the center of White House machinations rebutting criticism from former US Ambassador Joseph Wilson, who charged in summer 2003 that the Bush administration had "twisted" intelligence to justify invading Iraq in March 2003. While seeking to discredit Wilson, administration officials disclosed to reporters that Wilson's wife, Valerie Plame, worked for the CIA. Just a week after the Defense Department announced plans to put the National Security Agency in charge of military cyber defense and attack, the agency’s reach has already expanded to include monitoring of government civilian networks. 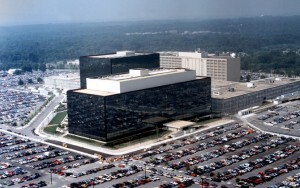 Given the NSA’s involvement in the Bush administration’s warrantless eavesdropping program, critics are concerned that the monitoring of government traffic on private-sector telecommunication networks that are used by the general public would allow the agency to once again spy on large swaths of non-government traffic without a warrant. The Obama administration will proceed with a Bush-era plan to use National Security Agency assistance in screening government computer traffic on private-sector networks, with AT&T as the likely test site, according to three current and former government officials. President Obama said in May that government efforts to protect computer systems from attack would not involve "monitoring private-sector networks or Internet traffic," and Department of Homeland Security officials say the new program will scrutinize only data going to or from government systems. But the program has provoked debate within DHS, the officials said, because of uncertainty about whether private data can be shielded from unauthorized scrutiny, how much of a role NSA should play and whether the agency's involvement in warrantless wiretapping during George W. Bush's presidency would draw controversy. TVNL Comment: Still waiting for that change we were promised. A document filed in federal court this week by the Justice Department offers new evidence that former vice president Richard B. Cheney helped steer the Bush administration's public response to the disclosure of Valerie Plame Wilson's employment by the CIA and that he was at the center of many related administration deliberations. The administration's discussion of Wilson's link to the CIA was meant to undermine criticism by her husband of administration allegations that Iraq attempted to acquire uranium, a matter that her husband had probed for the CIA, according to testimony presented in a 2007 trial. 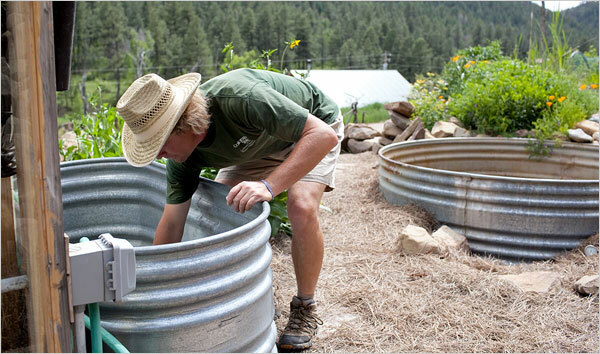 Now two new laws in Colorado will allow many people to collect rainwater legally. TVNL Comment: How is that for a free nation; your rain is owned by the government!